Buffett, whose company is the beverage maker’s largest shareholder, called the plan “excessive” in an interview on a news channel after it was approved at the company’s annual meeting. But he said Berkshire Hathaway abstained from voting against the pay plan because he didn’t want to express disapproval of the company’s management. Buffett also noted during the interview how difficult it can be to sit on company boards and oppose a pay plan. His son, Howard Buffett, serves on Coke’s board and supported the pay plan. Buffett said that he has never heard anyone speak out against a compensation committee’s plan in 55 years of serving on company boards. During the CNBC interview, Buffett was asked why he didn’t vote against the plan if he disapproved of it. Personally, I was not impressed by Buffett’s logic of both concluding that (1) the plan was excessive, and (2) a desire to show “support for management” overrode his desire to vote “no” against the compensation he found excessive. Obviously, Buffett stands to lose more from excessive dilution than anybody else; Berkshire owns 9% of Coca-Cola, and Buffett owns a third of Berkshire, so one out of every thirty-three Cokes, Sprites, Powerades, Dasanis, Minute Maids, and so on, that get sold across the world effectively belong to Buffett. If he’s comfortable with the dilution, well, no one can say he doesn’t have skin in the game. It’s fair to wonder, however, whether Buffett’s abstention from a no vote was driven entirely by concern for Berkshire and Coca-Cola shareholders or whether other factors colored his decision. First, it could be difficult to vote no given that Buffett spent two decades on the Coca-Cola Board, and is on friendly terms with most of the people set to receive this executive compensation. Heck, his own son Howard is on the Coca-Cola Board and will be benefitting from this Coca-Cola plan. It’s fair to wonder whether the desire to not alienate allies was part of Buffett’s decision to sit the vote out. The other thing that seems to be driving Warren Buffett’s decisionmaking is a concern about “headline risk”, or how the decision would be played in the media. He said he didn’t vote no he didn’t want it to come across as disapproval for the company’s management. One of the things that I had always admired about Buffett, especially during the banking crisis of the late 80s/early 90s and the gross overvaluation of the tech sector in the late ‘90s, is that Buffett seemed to focus on doing “the right thing” without much care for being ridiculed in the media (seriously, go access some archives from 1997-1999, everyone was writing about how Buffett had supposedly lost his touch). That ability to do his own thing without concern for the criticism to follow was one of the reasons why so many people put him on a pedestal (i.e. you don’t see this site talking about what Steven A. Cohen is doing every day), but Buffett’s refusal to vote against Coca-Cola’s compensation plan seems to demonstrate that Buffett is concerned about managing his reputation rather than creating controversy by following the values he has long championed. Buffett’s declaration that he disagrees with something yet won’t vote accordingly is a tension that warrants an explanation if you want investors to appreciate the nuance of your logic. 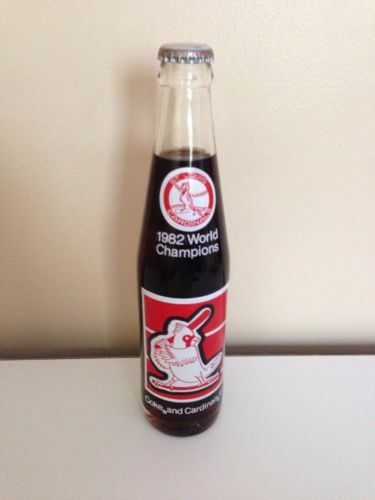 Kicking back and saying it’s “kind of un-American to vote no at a Coke meeting” tastes as flat as opening up a 1982 Cardinals World Champion Coca-Cola bottle and giving it a swig. ← Did You See David Winters’ Latest Letter To Warren Buffett About Coca-Cola?